Many of the preconceptions that people have about life in Algeria, both past and present, have nothing to do with reality. I have already written at length about the life I led in post-independence Algeria, but the idea of an Algiers complete with its sultan’s harem and seraglio filled with eunuchs and concubines, its slave market – all cherished stereotypes – is not in fact authentically Algerian, but a result of traditions imported from Ottoman Istanbul during its three centuries of overlordship. These ideas have, of course, since been strengthened and encouraged by the success of the “Orientalist” school of painting in the nineteenth century, with its portraits of scantily-clad concubines lying on their couches, smoking hookahs behind shuttered windows. The lure of the forbidden. Many of the Orientalist painters had never even been to Algeria, their titillating paintings merely a product of their own imagination. Borrowed traditions, perhaps, but with one notable exception. Piracy had been rife even before the Ottoman period and so the blame for it cannot be laid solely at their door. For centuries, European coastlines, including that of the south west of England, had been at the mercy of pirates based mainly on the North African Coast, later to be known as the Barbary Coast — “Barbary” being of course derived from “Berber.” Their number included not only North Africans, but also English and Dutch privateers. As Spain was the common enemy, the English had found an alliance with the Algerian corsairs very profitable, particularly when it came to harassing Spanish shipping in the Mediterranean. That part of North Africa that was to become the Ottoman province of Algeria had been a collection of small independent states, like most countries in Europe and elsewhere. They had practically invited the Ottoman wolf into their sheepfold in 1512, as Spain had been flexing its economic and military muscle since the fall of Granada to the forces of Isabelle and Ferdinand in 1492. At the same time the conquistadores were setting out to South America, several ports in what is now Algeria, including Ténès, Mostaganem, Oran, Mers-el-Kebir and Cherchell, were being captured by the Spanish and forced to pay tributes to the Spanish throne. The city of Bejaïa, in what is now Lower Kabylie, had also been taken over by the Spanish and so the Kabyles called upon the Barberousse (Red Beard) brothers, Arudj and Kheireddine, to come and help them retake the city. The brothers landed at Jijel, making the port their headquarters, and gathered enough men and munitions to lay siege to Bejaïa. The siege failed, but, in 1516, following another plea to Arudj and Kheireddine from its inhabitants, Algiers was wrested from the grasp of the Spanish with the aid of the Kabyles, whose courage impressed the Ottomans. Algeria, however, was to prove a very turbulent vassal state. What had begun as a mutual admiration society between the Ottomans and the Kabyles soon degenerated. Sidi Ahmed ou el Kahdi or Belkadi, one of the scions of a family of marabouts and a judge at the court of the last kings of Bejaia, had fled the city when it had fallen into the hands of the Spanish and found refuge in the mountains of Kabylie, where he organised the Berber tribes into a powerful fighting force, capable of opposing Ottoman janissaries and Spanish soldiers alike. Based in the citadel village of Koukou in High Kabylie, this force was composed of five thousand foot soldiers and fifteen hundred horsemen. Algiers was retaken from the Ottomans by them in 1520 and Kheireddine Barberousse fled to Jijel. For seven years, Belkadi was both king of Algiers and king of Koukou. The authority of the Berber kingdom stretched from the Atlas mountains to the southern plains of Algiers and lasted for over a hundred years, switching allegiance between the Ottomans and the Spanish, until well into the seventeenth century. From 1618 onwards, the Belkadi family split into several factions and its influence declined. Their name was changed and the family was absorbed into the local Berber population. Thanks in part to them, however, the two regions of Kabylie remained independent throughout the whole of the Ottoman period, retaining the use of their language and customs. Situated a few miles from my husband’s village, Koukou is now a small hamlet perched on a high peak, like most Kabyle settlements. Home to around six hundred inhabitants, it overlooks the Messouya valley and the river Sebaou. Its remoteness and difficulty of access afforded a degree of natural protection, and any approaching enemy could be seen from afar, an advantage for any military post. It seems strange to me that a village that was once the heart of a powerful kingdom, a beacon of its age, has fallen back into the most profound anonymity, with few people even aware of its erstwhile military might. Nothing as dramatic as a war has befallen it, just more years that can be counted. The few buildings left are not as timeless as the mountains that ring the village, but able to outlast the civilisation that created them by centuries. Other traces of Ottoman occupation remain in Algeria. The descendants of relationships between Turkish janissaries and local women, called kouloughlis (literally, “sons of slaves”) are proud of their Ottoman heritage and often bear Turkish family names. Some of them still belong to the same Hanifi sect of Sunni Islam as the Ottomans, as opposed to the Maliki appartenance of the rest of the Algerian population. Names of towns and villages where there was a strong Turkish community are still retained, as, for example, Ain el Turk (The Turk’s Fountain) near Oran, Ain Torki and the town of Bougara. Various suburbs of Algiers carry the names of famous historical figures of the Ottoman occupation, such as Hussein Dey and Bir Mourad Raïs (Birmandreis), Dey Hussein being the last of the Ottoman provincial rulers of the Regency of Algiers and Mourad Raïs a sixteenth-century Barbary pirate of Albanian origin. Raïs Hamidou, another Algiers suburb, formerly Pointe-Pescade, is named after a legendary early nineteenth-century Kabyle corsair, who captured many ships, ensuring the prosperity of the Ottoman Regency in its dying days. He was killed in 1815 during the Battle of Cape Gata against Decatur’s American fleet, intercepted on its way to remonstrate with Dey Hussein for a perceived insult. The main railway station in Algiers is called Agha Station, an agha being a civilian or military official in the Ottoman Empire. Many Turkish words have found their way into Algerian Arabic and there are dishes and pastries of Turkish origin on a typical Algerian menu — bourek, baklava, and sweet treats such as halva turc, rahat loukoum and Turkish coffee. An architectural heritage was left also. The Casbah, originally a Berber city, was built on and extended by the Ottomans. The sixteenth-century Ketchaoua mosque is located there, and one of the other notable reminders of the Ottoman occupation of Algeria, the grandiose Palais des Raïs, with its painted and tiled ceilings, is still to be found on the waterfront, proving that the Casbah had once stretched down its hillside as far as the sea, before the restructuring of the lower Casbah during the period of French colonisation to allow easier ingress in case of an uprising. One of the more persistant reminders of the Ottoman occupation was on a sartorial level —the wearing of the chechia turc, or “fez,” as it is known in English. For many years, even after the Turkish occupiers had been replaced by the French, it was part of every Algerian’s Sunday —or Friday-best — outfit. No formal occasion was without it – the taking of a formal studio family portrait, or playing a musical instrument in a chaabi orchestra. My husband wore a fez as a small boy, although we do not have a photo of him at that age. We do, however, have one of his maternal uncle, pudgily resplendent in his fez and enthroned in his mother’s arms like a miniature Ottoman pasha. We also have one of T’s maternal grandfather in his fez, although one of his grandsons, sitting on his knee, is sporting a French beret. It is strange to think that, although the Ottomans never penetrated Kabylie, their influence could still be felt there — even if it was only in the choice of headgear. This entry was posted in Algiers, Colonial Algeria and tagged Algiers, Algiers Regency, Barbary Pirates, Bejaia, Corsairs, Kabyles during Ottoman Colonisation, Koukou, Ottomans in Algeria, The Casbah. Bookmark the permalink. Not many people know about this lost part of Algerian history, which is a shame. I only found out about it a short while ago. How wonderful to have found your site! I have been reading about 16th center Algiers for a bit over a year, and find the history very exciting, filled with marvelous characters like those you mention: the King of Koukou (as I like to think of him) and the Barbarossa brothers. I’m writing a fantasy back story for Sycorax, the Witch from Algiers who is the mother of Caliban in Shakespeare’s play, The Tempest. I want to ground it in some degree of realism, but don’t really have to be historically accurate, because it is also a fantasy (with witchy stuff). I don’t have time to write more at the moment, but I’ve stumbled across a couple of things you’d probably enjoy, and I know I would like to ask you some questions. It is very difficult to get good descriptions of the period right before the Turkish corsairs arrived (i.e. 1492-1516). Have your read Leo Africanus? He was passing through Algiers in what I take to be 1514 and actually visited Aroudj Reis during his second attempt to help the Sultan re-take Bejaia that year, before going to Jijelli, becoming sultan there, and soon after defeating the Koukou and beheading their sultan (probably 1515?). I think Leo Africanus (then Hassan Al Wazzan) might have been with them in Jijelli before going on to Tunis, Egypt, and Constantinople. His descriptions of both Algiers and Bejaia are eye-openers. Thank you so much for your comments. Your project sounds very exciting. Although I started this blog to tell our personal story to friends and family (it’s all in my books, but I’ve deleted these posts from the blog) it has developed into something else. 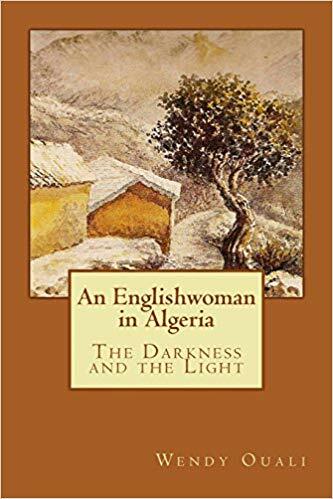 I also have become fascinated by Algerian history especially since it has been mostly hidden by the Algerian authorities who wanted Algeria to be solely Arab and Muslim. My husband is Kabyle so Berber history is particularly important to him. No I haven’t read Leo Africanus.